I’ve been really struck this year by how a lot of people seem to be over and done with Christmas immediately after Boxing Day. Well, at Conker Corner, I try to keep the full twelve days of Christmas special – enjoying the beautiful tree, lots of telly, special food treats we don’t get the rest of the year. It’s probably to do with people starting Christmas earlier. I try to keep Advent as the bit where we look forward to Christmas, and do all the mad rushing about, stressing and organising, and it’s the twelve days after Christmas that we get to relax and enjoy the fruits of our labours. This pattern suits us better. 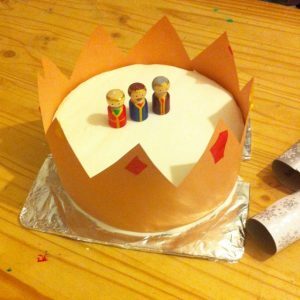 So our tree came down yesterday, and I find it really helps combat the kiddies’ dolefulness at this sad event that we have the Twelfth Cake to look forward too, accompanied by crackers and someone getting to be King for the day. Cake and crackers seems too much on Christmas Day when you’ve had every other indulgence. Again, this is a tradition that works for us anyway, taking us happily in January. Before we can eat it, of course I have to tackle the Dreaded Icing. 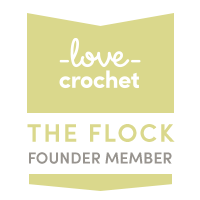 Previously on Little Conkers… making the Twelfth Cake. My grandmother’s recipe – none of your new-fangled dried mango or expensive nuts in here! No, I didn’t make the marzipan. Given the choice I would, but sadly it’s cheaper to buy it ready-made. Every year I add notes to my grandmother’s and mother’s notes in the vain hope I’ll learn something. The icing, however, is for me the low point of the whole business. It’s to do with being keenly aware of how very far off perfection my achievements are. And whilst I’m not expecting to achieve perfection or anything near it, I would just like it to look neat and tidy, but it never has yet. 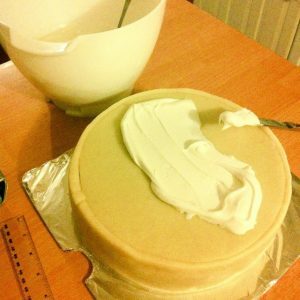 Icing, like plastering, is all about knowing the correct consistency of your material. If you don’t have it right, nothing you do will ever work. I just don’t ice often enough to have the experience. My grandmother used to ice cakes semi-professionally. Even her ‘every day’ cakes and biscuits were gorgeously decorated with tiny porcelain-like flowers and patterns in every colour. And my mother has inherited her skills, and made a beautiful job of my wedding cake. So I guess I kind of have all that hanging over me as I start spreading the blasted stuff. 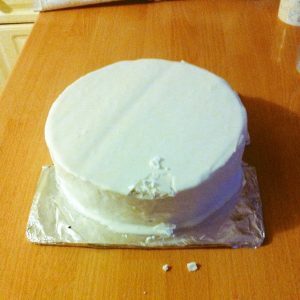 The next day, by the time I’d done this as the rough-coat, I was experiencing something close to rage, so decided I’d better step away from the cake. You’ll have spotted the elegant cake board, made from some cardboard covered in foil. 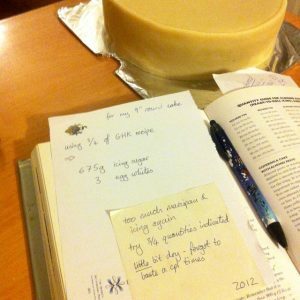 My proper cake board (the proper kind of cardboard covered with the proper kind of gold-coloured foil) had to be retired last year after six or seven years of service. 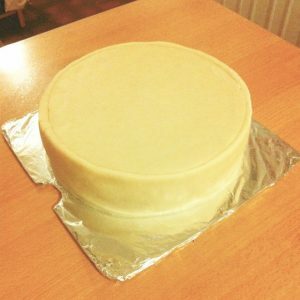 My ever-practical husband suggested I make it to fit inside the cake box, which the proper board never did, so I did that, which is helpful but not very aesthetic. The wrinkling makes it even harder to get a crisp edge on the cake sides too. A couple of days later and I’ll admit I’m happier than most years with the final coat – but that isn’t saying much. But then my youngest walked in and asked why the icing was white, which nearly made me cry. We’ve never had white icing before. The kiddies get to choose their birthday cakes, so it’s always been something coloured – chocolate, raspberry or ‘green’ one year. 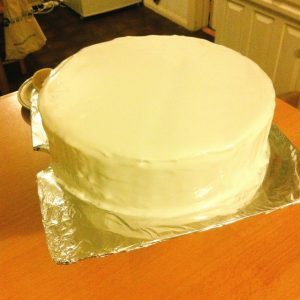 And in the past our Twelfth Cake has been a natural golden colour from the unrefined icing sugar I would prefer to use. 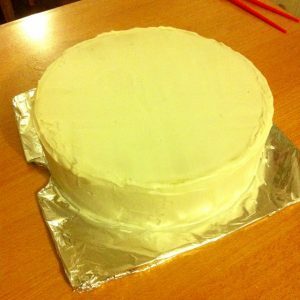 But budgetary constrains have given us a white cake this year. 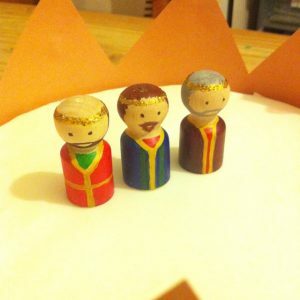 It always made more sense golden – it looked like sand, which fit with the image of the Three Kings. I put camels on it from the kiddies’ toys. Doesn’t seem right in white. But hey ho, it ‘all goes down the same way’ as my family’s elegant phrase goes. This, however, was what greeted me this morning! What mystery occurrence was this? E’s squirming soon revealed the line of enquiry we should take. Apparently she “was accidentally holding a marble over it and it accidentally fell on it”! 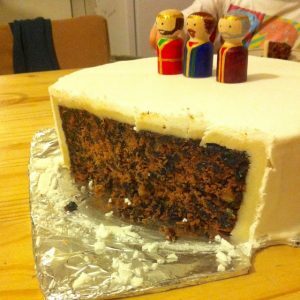 Reassured that it would taste just the same with a dent in it, she decorated a crown for it, and we installed the three Kings. My OH, by the way, was king for the day. We drew cards for it (if we waited for someone to find the charm or sixpence in the cake as per tradition, we might have an empty throne for several days!) Next time I’d better rig the pack, since his first royal decree was that the King didn’t have to wear the crown! For shame! 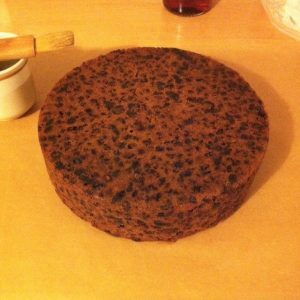 The cake’s lovely by the way – it’s a very reliable recipe, and will keep us happy for most of January!